The new service is based on SmartLabs’ global on-demand platform with a number of custom software and platform design elements created specifically for it. Features of the new platform include multi-touch functionality and multi-screen distribution. The service is available to Baltcom’s fibre customers within its coverage area. Viewers can also watch content via Android and iOS applications on smartphones and tablets. In addition to Baltcom’s existing line-up of over 100 TV channels, the new service incorporates Russian OTT TV service Megogo, which provides a range of movies, cartoons and series in their original languages. Viewers can upgrade to additional channel packages, create personalised profiles with different security settings and use a single remote control to manage both the TV and decoder. 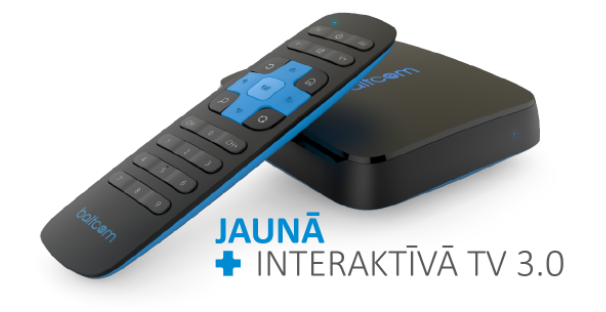 Baltcom chairman Nicolas Boissin said that the new platform offered the “most advanced interactive TV solution in Latvia”. He said that the company’s goal had been to design a new platform that was transparent, easy-to-understand and up-to-date.